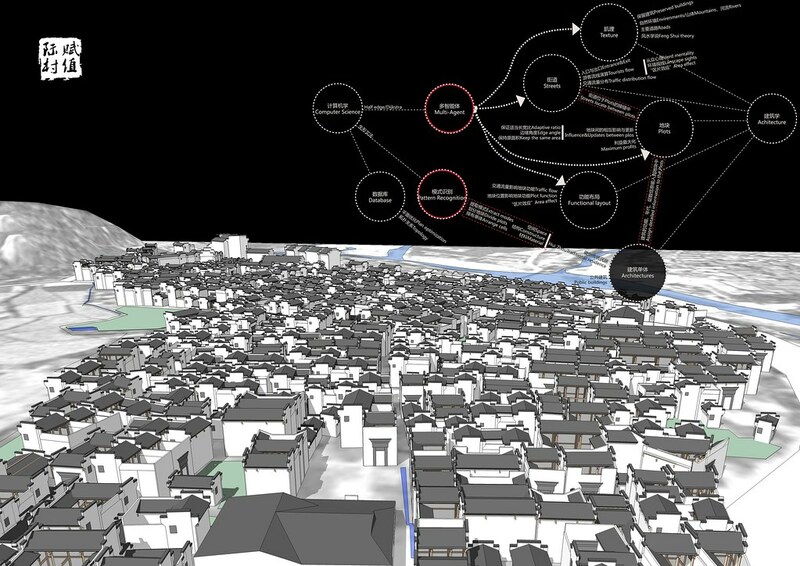 This project mainly deals with the problems of the reconstruction of the HuiZhou Village,Ji Cun. It realizes a Huizhou Style residential space generating system, including both village planning and architectural designing. 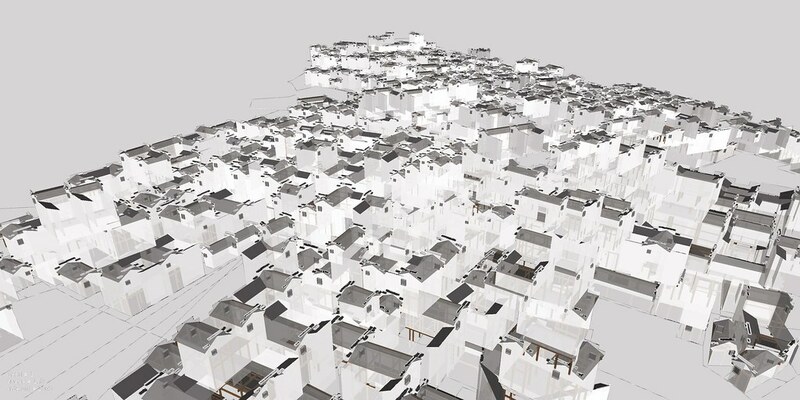 The main concern of the generation system is the self-organizing mechanism of village and pattern extraction of the HuiZhou Style residence. 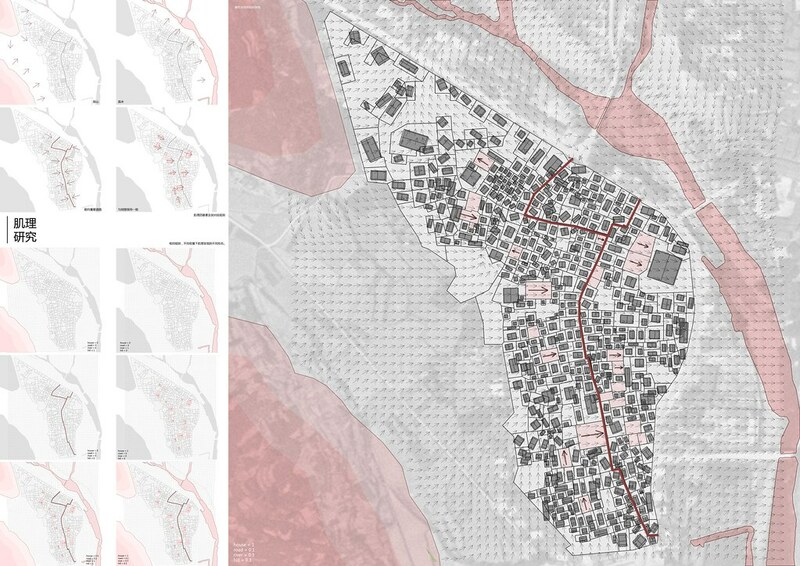 It extracts the programmable factors from traditional designing methods and explores the best combination between computer programs and the current situation of the site. 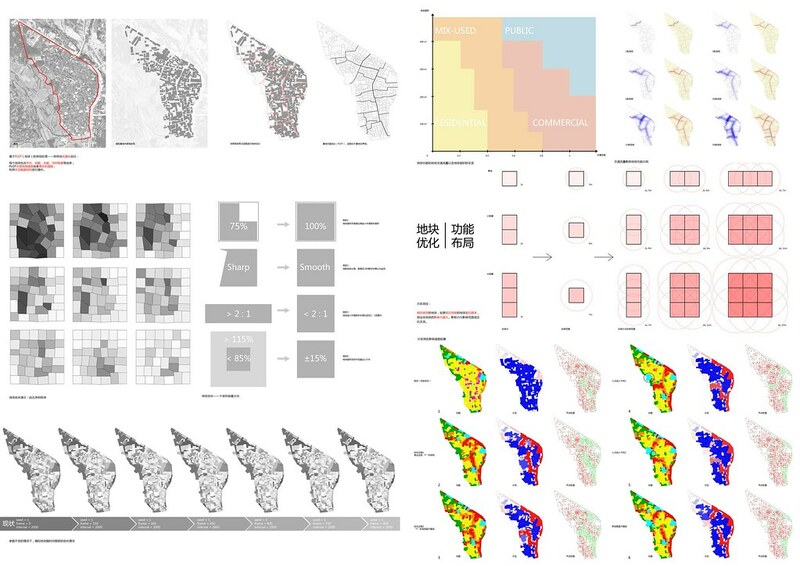 Through defining certain agent and its’ independent property and methods, the architectural designing system then turns into a complicated self-adaptive system constitutes with the collaboration of Multi-Agents. A further particular adaptive shape-formation grammar is then established on basis of the units generated in the Multi-Agents System,through the thinking of the pattern recognition. The system, using JAVA language and methods of the Object-Oriented Programming, is developed on the Eclipse platform . The orientation informations for each plots are obtained based on the reserved architectures and other environmental factors . All routes, the shortest path between an entrance and an exit, in the village are calculated according to Dijkstra algorithm. Treating each plot of the site as an agent, we then define the properties and rules Of these agents. One of the focal points of the agent is it’s shape and another is it’s function deployment. On basis of these, two separate Multi-Agent systems are constructed for updating.These two systems collaborate to complete the update and ultimately reach a dynamic balance. On the basis of the plots obtained by the Multi-Agent system, we creatively put forward an algorithm called “Shape-formation Grammar” which deals with the pattern extraction problems in the two-dimensional architectural plans. 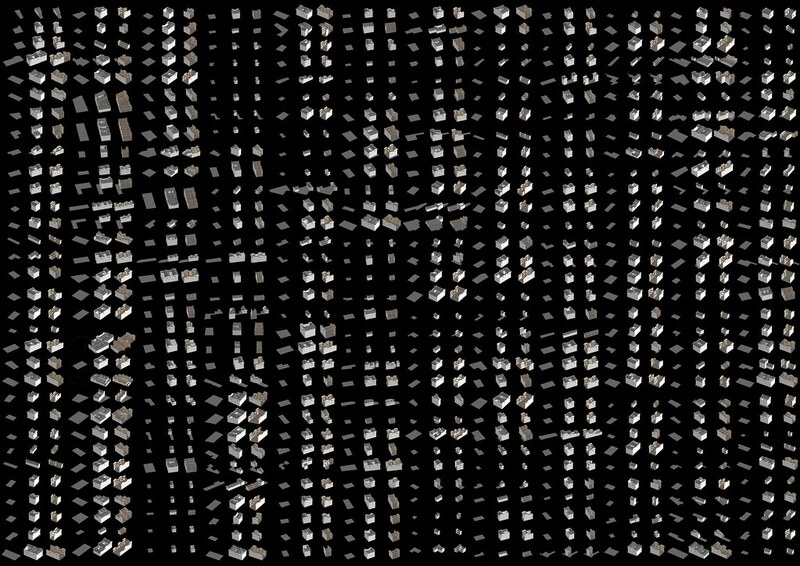 The key idea of the algorithm is dividing certain plot to establish a structure to store the information of it’s shape. The rule system is then build under this structure and helps to get the two-dimensional plane. In addition, the tectonic elements of the HuiZhou residence are added to form the three-dimensional building. In the mean time, the architectural structure of the building can also be calculated simultaneously. 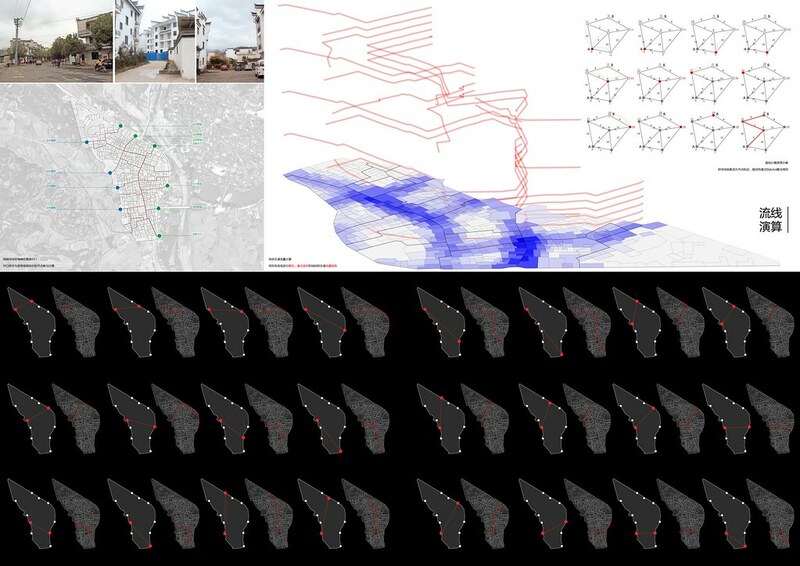 June 26, 2014 | Filed under Computational Design, Education, Research.